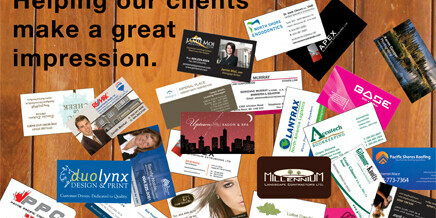 Today’s competitive and ever-changing business environment presents unique marketing challenges to companies needing branding and design services. Businesses cannot compete without influential marketing material. 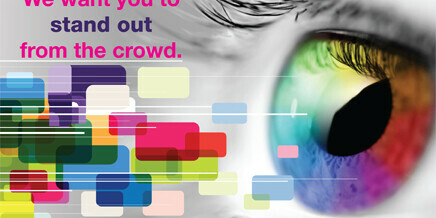 Your print products need to define your company visually and deliver your message with impact. Capture the attention of your customers and clients with large colour banners, posters or signage that makes your message STAND OUT. As beautiful as the real thing; giclee canvas fine art reproduction and photographic posters. 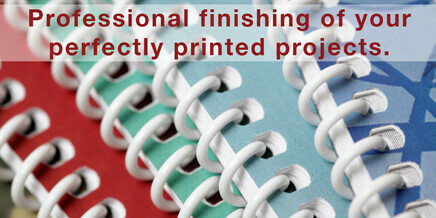 Print materials are the added ingredient to help your business grow and flourish. At Duolynx we understand the importance of first impressions. 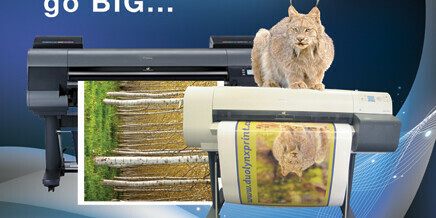 Our in-house designers and expert printing solutions can ensure your materials are unforgettable.